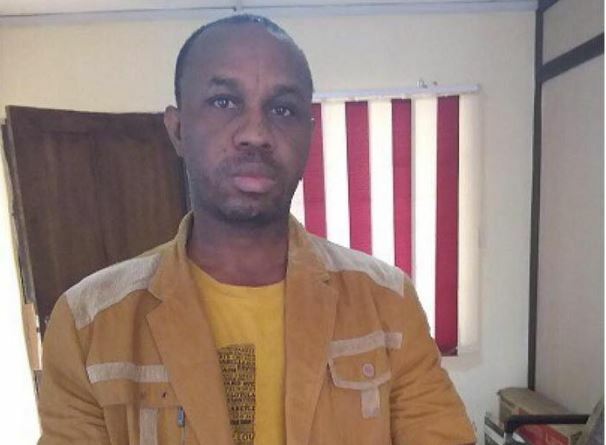 EFCC, Benin Zonal Office, has arrested a Bishop, Giniko Obi, for allegedly defrauding thousands of people of money running into millions of naira, in the guise of helping them “fight poverty”. Obi, founder of Beloved Gideon Foundation, based in Agbor, Delta State, however, denied any involvement in fraud claiming that he was only “doing the will of God by trying to help the people fight poverty”. According to him, it was his desire and God’s will to see people prosper that led him into operating what appears to be a Ponzi Scheme. Obi, who claim to be a consecrated Bishop, possessing a diploma in theology, said: “We write books such as ‘24 Nuggets for Successful Living’, ‘36 Nuggets for Successful Living’, ‘48 Nuggets for Successful Living’. We organise seminars and conferences on how to be successful. We tell the people to subscribe to these publications. If you subscribe with N10, 800, we give you N15, 000. According to him, when he left Agbor for Lagos, his desire was to expand his subscription base but his subscribers were impatient. “If they allowed me to hold the conference in Lagos, I would have paid them,” he claimed. However, some of his victims who have continued to throng the EFCC office, since his arrest, described his as a “fraud”. One of them, Janet Amaka Okafor, said the Bishop sold a dummy to them by claiming that he was from the famous Gideons International, based in the U.S.
“The Bishop knelt down and swore with the Bible. He convinced us that he was from Texas, USA, and we believed him. I brought many people, including my relations and friends. All together, they invested over N5 million”. Another victim, Bessie Nwadibire, 67, said the Bishop was very deceptive from the beginning. “When he came to the market he gave out drinks and dashed some people money as much as N50,000, as he said the poverty rate in Nigeria was too high,” Nwadibire said. The post Bishop Arrested For Defrauding In The Mighty Name Of Jesus Christ Our Lord appeared first on Naijaloaded | Nigeria's Most Visited Music & Entertainment Website.